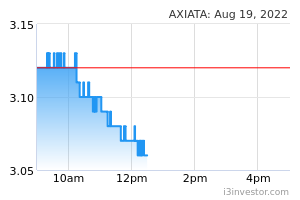 KUALA LUMPUR: Axiata Group Bhd (Axiata) today confirmed that the Supreme Court of Nepal (SC) issued its full written order in relation to its oral order on Feb 6, 2019, on public interest litigation filed by a group of Nepali individuals on the Ncell Private Ltd (Ncell) buyout deal. The litigants had sought for various orders from the court, including for capital gains tax to be collected from Ncell and Axiata Investments UK Ltd (Axiata UK) for the indirect transfer of an 80 per cent stake in Ncell to Axiata UK through the purchase of Reynolds Holdings Ltd from TeliaSonera Norway Nepal Holdings AS. Axiata said the order stated that the Large Taxpayers Office should determine the outstanding tax amount to be paid in relation to the transaction within three months from the date of receipt of the order, and that the responsibility to pay tax lies with Ncell and Axiata. In a filing with Bursa Malaysia today, the company said that it is not a party to the litigation. The court also indicated that the distribution of dividends and any sale of Ncell shares by anyone should not be granted until the tax obligation was satisfied. “Axiata and Ncell are reviewing the decision of the Supreme Court,” said Axiata, adding that both companies had dutifully and responsibly complied with all relevant regulatory and legal requirements in relation to the transaction and acknowledge the order without prejudice to their remedial rights. It also said that the companies have made significant contributions to the socio-economic development of Nepal, and that Ncell directly and indirectly supported over 93,800 jobs and connected over 16.3 million customers across its networks. "We remain committed as long-term investors in the country to further enhance digital connectivity and to improve the lives of all Nepalis,” said Axiata, adding that the company was Nepal’s largest taxpayer, contributing NPR 125. 68 billion (USD 1.17 billion) in taxes since 2014.